There's just something about taupe eyeshadows that draw me in, regardless of how many I have already in my collection. Cream eyeshadows also never fail to lose their allure as they are effortless to sweep across the lid on lazy days while looking all kinds of gorgeous. Combine two cult favorites and you've got yourself a sure winner so I figured someone might appreciate a post on the taupe cream shadows in my stash. I only have four to share which is, in my opinion, a modest number. Most of these are well known products, notably Maybelline's Color Tattoo in Bad to the Bronze and Loreal's Infallible in Bronzed Taupe. The oldest out of the bunch is NYX's Jumbo Pencil in Iced Mocha which I depotted. 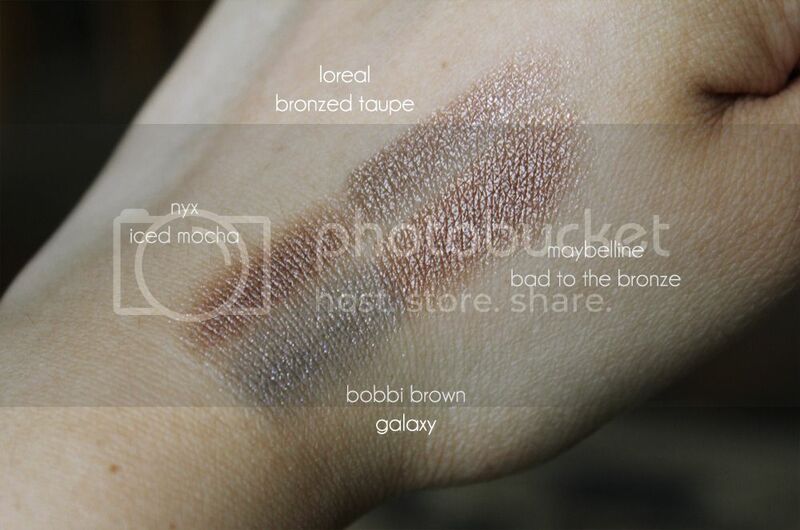 Last but not least is Bobbi Brown's Long Wear Cream Shadow in Galaxy. Taupe is one of those shades with a wide range of definitions. In my mind, taupes are mixtures of brown and gray tones and usually have purple tinges if cool tooned and gold tinges if warm toned. As you can see from the swatches above, all of the colors I own are different in their own regard in terms of both color and finish. 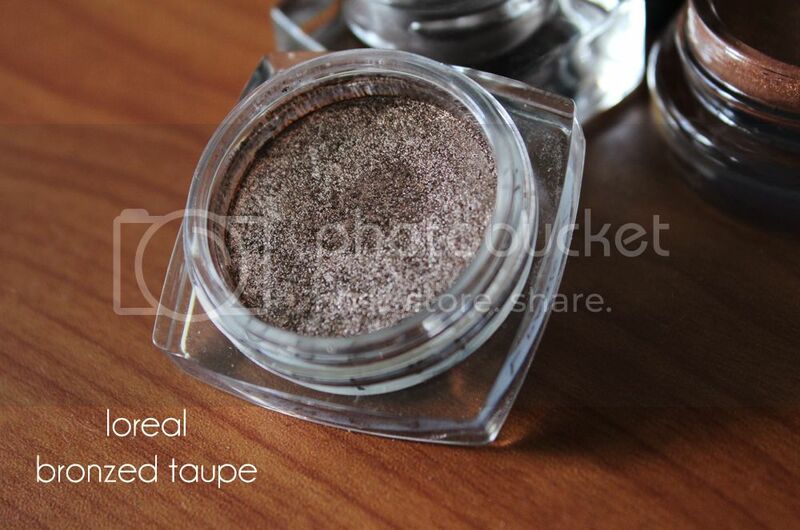 L'oreal Bronzed Taupe is not only beautiful in terms of the color but the texture and pigmentation are phenomenal. 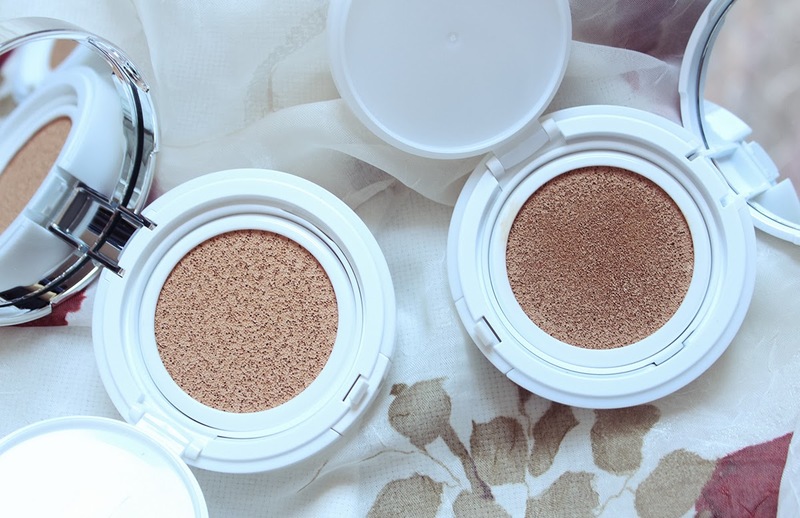 If you are familiar with these or the Giorgio Armani Eyes to Kill, you will know the rich, pressed pigment-like quality to these. 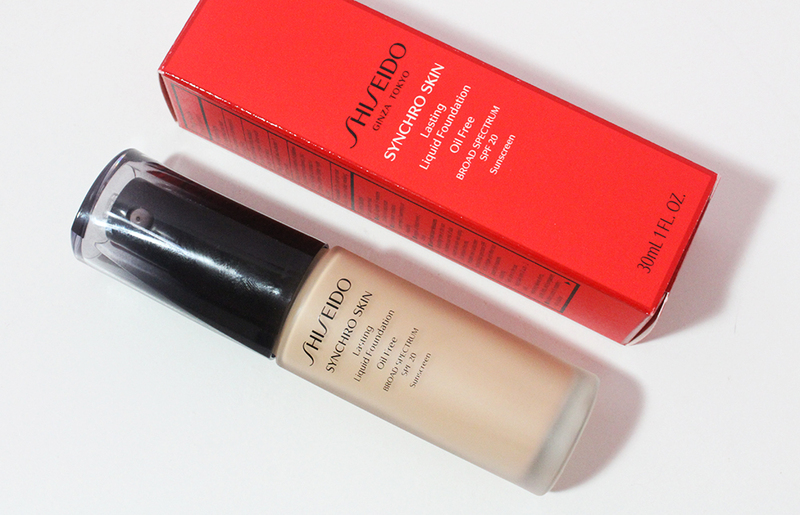 The formula is somewhere in between a powder and a cream. The shadow translates into a shimmer medium taupe on the skin and this is the most true to taupe out of the four cream shadows. NYX's Iced Mocha is the most affordable out of the bunch but still packs a good amount of pigmentation and looks great as a base under powder shadows. Iced Mocha has been in my collection the longest and a little goes a long way. 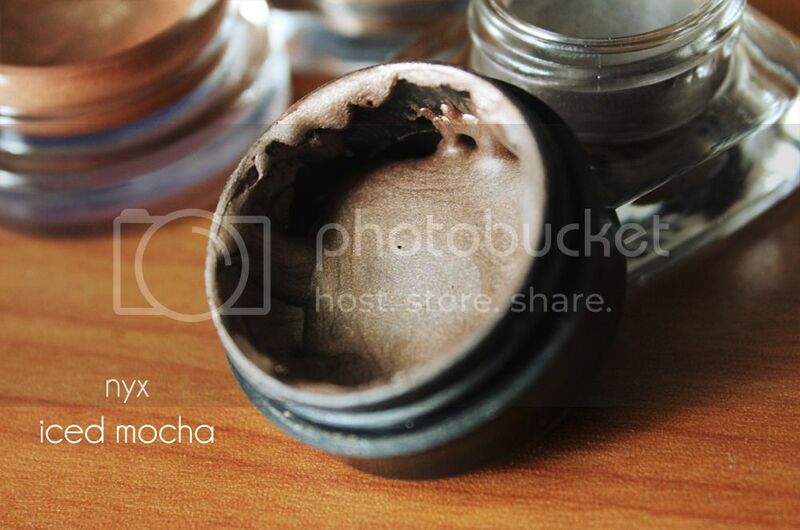 If you are on a tight budget and want a base for a smokey eye, look no further than Iced Mocha. 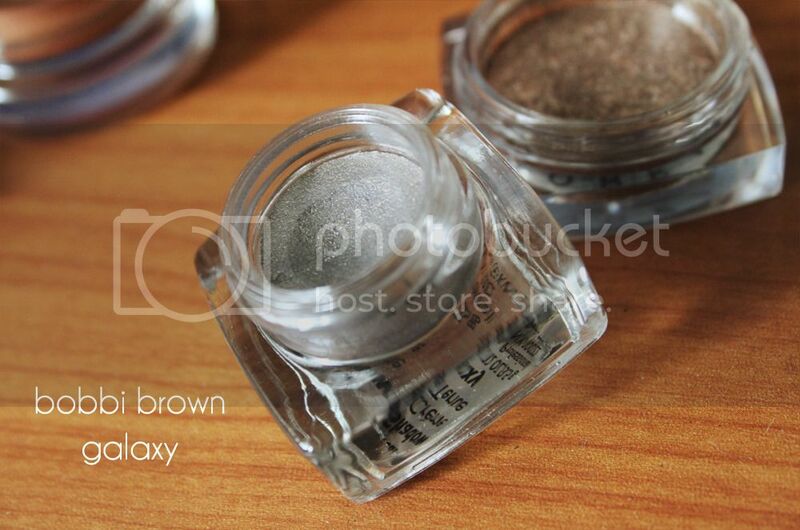 Bobbi Brown Galaxy is the most gray toned shadow and barely looks taupe at all in photographs. It is incredibly difficult to capture the gorgeous nuances of color and shimmer of this cream eyeshadow. This is the most complex cream shadow I own and it really is long lasting. The formula sets and dries quickly so it is difficult to layer powder shadows over top. I prefer using this alone, all over the lid, with some eyeliner to complete the look. This is a great product for a quick makeup routine. Maybelline Bad to the Bronze has garnered something of a cult following in the past year due to it's affordability, lasting power and gorgeous color. This is the most brown toned shadow and it barely looks taupe in the jar. On the skin it looks very similar to Iced Mocha and leans more taupe than it seems. This shadow is great alone or under powder shadow and can be sheered out to a very light skintone color or built up to an intense dark brown. I love all four of the taupe cream eyeshadows in my stash and highly recommend all of them. Each of them have different qualities so I can justify owning all of them. 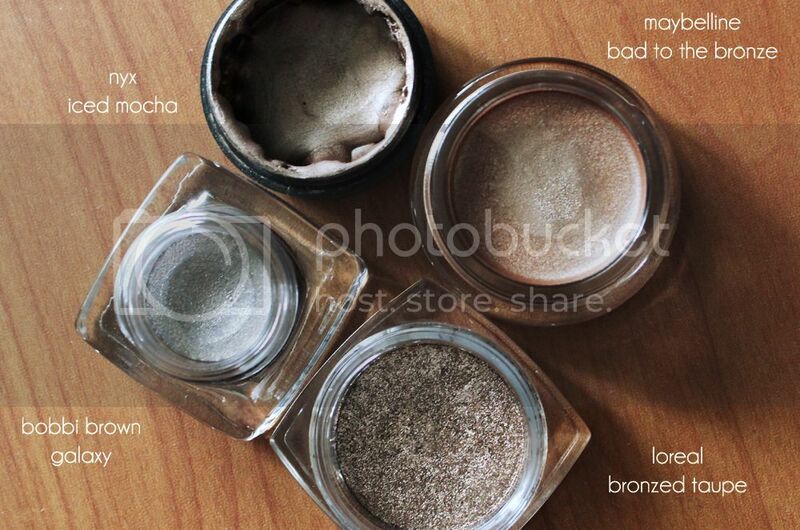 Which are your favorite taupe colored cream shadows? I can't decide between L'Oreal or Maybelline. I love them both so much, I can't wait to purchase them >.<! Erm, get both! Haha, if you want a cream shadow that looks best on its own, go for L'oreal. 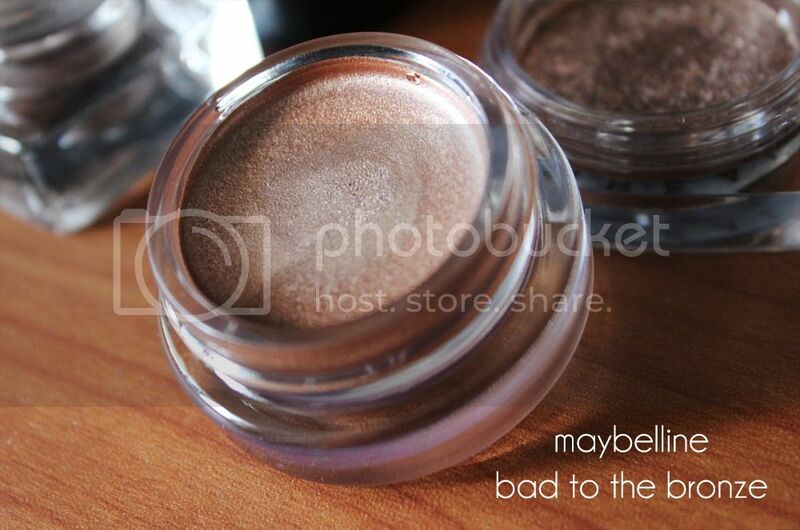 If you want an eyeshadow base to make other shadows look more complex and interesting, get the Maybelline. Taupe is a shade that looks great across skintone. One of my favorite is Estee Lauder Double Wear Shadow creme in silver leaf.